Agalloch, Anchor, Avoral, Bury Thy Kingdom, Dead Aeon, Equalizer, Forcentury, Hackneyed, Harmony Disorder, Kreepmaster, Manowar, Stream Of Passion, To Set Ablaze, Weekend Nachos, Wodensthrone called it quits. Ex-Black Crowes keyboardist Eddie Harsch died at 59 on November 5. Iron Chic guitarist Rob McAllister died on Jan. 13th. 21st Aug.: ex-3 Doors Down guitarist Matt Roberts found dead at 38. Alex, singer of Hoods Up died on Jan. 29th. Former Budgie guitarist John Thomas has passed away at the age of sixty three on March 3rd. On May 7th John Stabb of Government Issue passed away. The popular vocalist who over his decades-long career, fronted such beloved bands as Reason To Believe/Sense Field and Further Seems Forever, and more recently War Generation L.A. and Lucky Scars. May 5th: Dying Fetus is currently on the road headlining the "Metal Alliance Tour" with support from The Acacia Strain, Jungle Rot, Black Crown Initiate and rotating openers Reaping Asmedia and Nylithia. Feb 21st: Progressive rock act Riverside announced that guitarist Piotr Grudzinski passed away this morning at 40. Jan 24th: Ex-Dio bassist Jimmy Bain passes away at 68. "I'm so sad today. My client & friend Tera Wray, former Pornstar and the widow of Wayne Static committed suicide yesterday. Tera is once again with the love of her life, Wayne, & will be forever. May they both find peace together for all of eternity. Godspeed Tera." The couple met in 2007 and were married the next year, with Tera working in the adult entertainment industry prior from 2006 through 2008. Feb 8th: Valleys vocalist dies in car accident. * "Black Metal: Into The Abyss" from writer and photographer Dayal Patterson will be released on May 31st and is now available for pre-order here. The new book includes 300 pages and 21 chapters of brand new and exclusive material, with long, detailed and definitive interviews featuring four Pagan Records acts: Sacrilegium, Furia, MasseMord and Mord’A’Stigmata. During the May 3rd Illinois stop of the tour, the band received what they considered a very interesting request. One of the band's biggest fans recently passed away and as a final wish, he had asked that his ashes be scattered on stage during their show. When the band ripped into Nick's favorite song "Homicidal Retribution," the band honored his wish and did just that. "We just scattered nicks ashes in the pit for his favorite song, 'Homicidal Retribution,' may he RIP. Rest in the pit \m/", commented the band on Twitter. On May 11, Keith Emerson of EL&P killed himself in his California mansion age 71. Eagles guitarist Glenn Frey passed away at 67. (12.20) Origin will enter the studio in Feb to record their 7th album, for release summer 2017. (12.18) Kim Lantto will be the new bass player for Soreption. (12.17) Nine Inch Nails will release a new five-song EP, "Not The Actual Events", on December 23. (12.15) Drummer Luis Martinez has left The Zenith Passage to dedicate his time and energy to his newborn son. Replacing him is drummer Matt Paulazzo. (12.13) Nightrage will release their new album "The Venomous" in early 2017. (12.01) Carcass expect to have a new album out in late 2017. (11.30) Suffocation are about to enter the studio to record their new album. (11.25) Drummer Emil is leaving Aeon. This is a huge blow to the band IMO, who is now seeking a new drummer. Best of luck Emil, and to Aeon in finding someone to replace him! (11.23) Slipknot will start writing new material in February. (11.22) Gene Hoglan has finished his second drum instructional DVD, "The Atomic Clock: The Clock Strikes Two", for an early 2017 release. (11.07) To listen to a preview of songs off the new Morta Skuld, visit https://www.youtube.com/watch?v=5PTVSUwLS4Y. The album will be released early 2017. (11.02) The new Antropofagus will be out spring 2017. (11.02) Obituary are almost finished their new full length album and expect to release it in March. (10.17) Voyager have finished writing their 6th album and will be entering the studio next month. (10.14) The new Decrepit Birth album is finished and handed off to the record label. (10.13) Gods Of Eden are working on new material. (10.04) Broken Hope's new album will be out in early 2017. (10.02) Abysmal Torment have started pre-production on their new album. (10.02) Indecent Excision are working on new material. (09.28) Volumes' new album is currently being mixed. (09.26) The Kennedy Veil welcome their new vocalist Monte Barnard, and will enter the studio in late November. (09.26) Gutted have finished recording and are now mixing their new album. (09.20) Bassist Oscar Ramirez has rejoined Pathology. (09.16) Bolt Thrower have confirmed that they have officially split up, and plan no more albums or touring. (09.13) Immolation have finished their new album which they plan to release in January. (09.10) Deivos have started recording their 5th studio album, for a 2017 release. (09.09) Origin have started working on their 7th full length album, to be released in 2017. (09.07) Antropofagus are almost finished mixing their new album. (09.07) Hideous Divinity are in the studio working on their new album. (09.07) The Kennedy Veil will enter the studio very soon to record their new album. (08.29) Nightrage will enter the studio next week. An early 2017 release date is expected for the new album. (08.26) Hate will start recording their new album next week. The album will be released April of 2017. (08.26) Auras will release their new full length album "Heliospectrum" on Sept 30th. Visit https://www.youtube.com/watch?v=l9ALc82MwH8 to listenn to the first song from the album, 'Waterstone'. (08.24) Obituary have announced "Ten Thousand Ways To Die", a special EP to be released October 21 with a pair of brand new studio tracks plus a bonus live set of twelve classics recorded in eleven different cities during the band's 2015 "Inked In Blood" world tour. To listen to the new song 'Loathe', visit https://www.youtube.com/watch?v=VI8gz54O-i8 A new album will be released spring 2017. (08.23) Skinless are writing their new album, to be released in 2017. 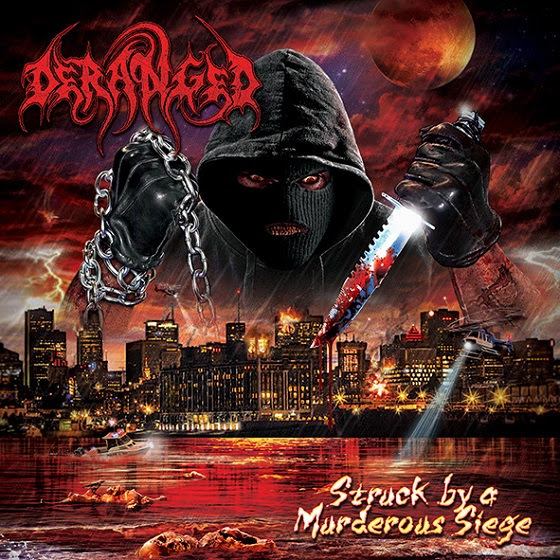 (08.22) Deranged's new album will be called "Struck By A Murderous Siege", and will be released Oct 28th. Visit https://www.youtube.com/watch?v=VfHmhZNSWHQ to listen to a clip from the new album. (08.19) Gutted have signed with Xtreem Music and are currently recording their 4th album "Martyr Creation". (08.18) The new Broken Hope album will be called "Mutilated & Assimilated", and will be out before the end of the year. (08.12) Deranged are in the studio. Expect an autumn release. (08.12) Pathology vocalist Matti Way is in the studio recording vocals for the new album. (08.12) Vader are releasing a teaser EP called "Iron Times", which will contain 2 songs off their forthcoming album, and 2 covers. (08.12) Arch Enemy are working on a new album. (08.04) The new Morta Skuld album is finished and has been handed to the label. (08.04) Cyranoi are writing music for their debut full length album. (08.04) Morbid Angel have signed with UDR Music. They are still working on their new album, for a 2017 release date. 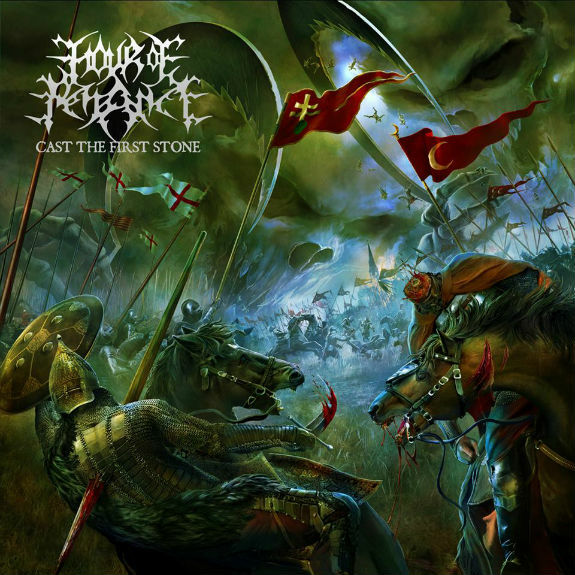 (08.03) Replacing Mike Hamilton in Deeds Of Flesh will be Darren Cesca (Goratory, ex-Arsis). He has written all the drums parts for the new album. (07.29) Meshuggah will release their new album "The Violent Sleep Of Reason" on Oct 7th. (07.28) Some sad news from the Deeds Of Flesh camp. Drummer Mike Hamilton has decided to leave the band. Here's his statement: "The time has come for me to step down as the drummer of Deeds of Flesh. I'm So Very proud of my career with DOF and I am honored to have been a member of such a Great Band that has always been at the forefront of Extreme Metal. I want to first thank Erik Lindmark for always believing in me and pushing me to be the best drummer I could be. I would also like to thank Craig Peters, Ivan Mungia, past members of DOF, my Family, Friends and all the Fans that have supported me and DOF over the years. This was a personal decision and by no means an easy one. I wish DOF all the Best in their future endeavors!" The band wishes Mike well and says they will always remain great friends, and they will continue to work on their new album without him. 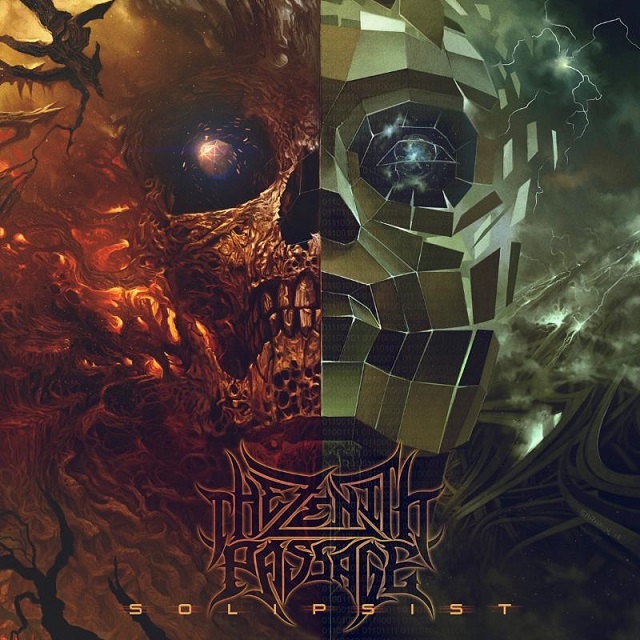 (07.27) Nightrage have added guitarist Magnus SAoderman and drummer Lawrence Dinamarca to their ranks. (07.26) Gortuary will start recording their new album in September. (07.23) Antropofagus are hard at work on their new album. (07.12) Devourment are working on material for their 5th album. (06.29) At least for now, Wormed will continue on, even with the exit of their founding member. (06.29) Morbid Angel are about to enter the studio to record their new album. 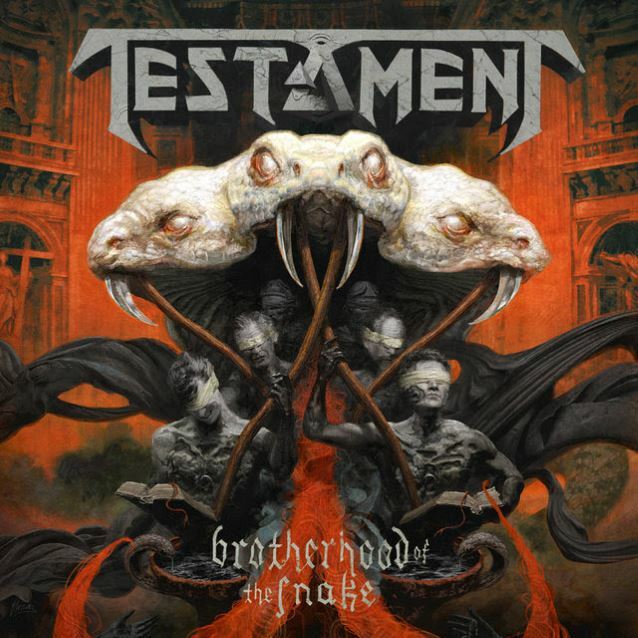 (06.28) Testament's new album "The Brotherhood Of The Snake" will be out Oct 28th. (06.26) Disentomb are almost finished working on album number 3. (06.18) To listen to the new Brain Drill song 'Infinite Oblivion', visit https://www.youtube.com/watch?v=w9IVLe741KA. The album will be out July 2nd. (06.17) Vader's new album has been pushed back to a Nov 4th release date. 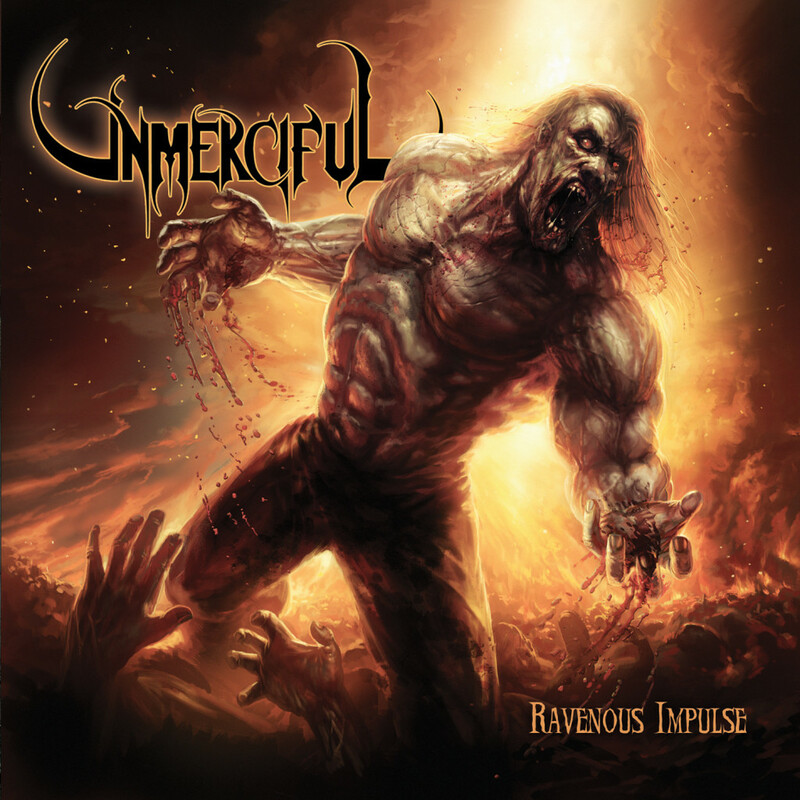 (06.14) To listen to the new Unmerciful song 'Unmerciful', visit https://www.youtube.com/watch?v=Rbwn75iJf64. (06.14) Former Slipknot drummer Joey Jordison has made a public statement that he is afflicted with the rare condition transverse myelitis, which stopped him from being able to play the drums for a time. This was one of the reasons for the split for Slipknot. Best of luck to Joey, a chronic illness is a horrible thing, and I hope he's able to keep it under control so he can continue to drum. (06.13) Wormed founding member and guitarist J Oliver has left the band. He states he just doesn't have time for both the band, fulltime work and family, and something had to give. No word yet on what will happen to the band. (06.12) To listen to the new Gardenjia song 'Tilikum', visit https://www.youtube.com/watch?v=ZoRzpTEVMI0. The new album "Arkestral" will be out June 20th. (06.10) Vader's new album "The Empire" will be out September 23rd. (06.05) Abhorrent Decimation have parted ways with original Guitarist Dave Mckinney. (05.26) Kadinja's new album will be called "Ascendancy". (05.26) The Los Angeles County Department of Medical Examiner-Coroner has declared the death of Nick Menza to be of natural causes, specifically, hypertensive and atherosclerotic cardiovascular disease. (05.24) Hollow World will start recording their new album next week. (05.18) Gardenjia's new album "Arkestral" will be out June 20th. (05.18) Monstrosity are in the final mixing stage of their new album. (05.17) Legendary artist Dan Seagrave has started work on the new Decrepit Birth album cover. (05.16) The new Periphery album will now be out July 22nd, two weeks earlier than originally scheduled. (05.11) Lost Soul announces the departure of 3 members of the band, guitarist Marek Gołaś, bassist Damian Czajkowski and drummer Jonathan Garofoli. They leave for various reasons including personal, logistical problems, and health problems. Remaining member and founder Jacek Grecki will announce soon info on future plans for the band. (05.11) Abhorrent Decimation have signed with Prosthetic Records, and should have a new album out early 2017. (05.11) Recently reformed Morta Skuld will release a new album in September on Peaceville records called "Wounds Deeper Than Time". (05.09) Vader is recording a new album called "The Empire". (04.27) Soreption has begun preproduction on their new album. (04.27) Periphery's new album will be called "Periphery III: Select Difficulty", and will be out August 4th. (04.26) Periphery will be playing the Fillmore in San Francisco on Aug 14th. (04.24) Joe Bonnett (guitar) and Jeremy Suckling (drums) have both decided to leave Dawn of Azazel. Founding member Rigel Walshe isn't sure about the future of the band, but will see how it goes. (04.19) Despised Icon's new album "Beast" will be out July 22nd. (04.19) Voyager have started writing their 6th studio album. (04.18) Obscenity's new album "Retaliation" will be out May 27th. (04.17) Baphomet / Banished have returned to the studio after 23 years. You may remember (or not) they released 2 records, "The Dead Shall Inherit" and "Deliver Me Unto Pain". Fantastic records both, can't wait to hear what the band does now. (04.15) Gojira have set "Magma" as the title of their brand new studio album, due on June 17 via Roadrunner Records. (04.06) Deranged has inked a record deal with Agonia Records, with plans to record a new album this summer for a winter release. 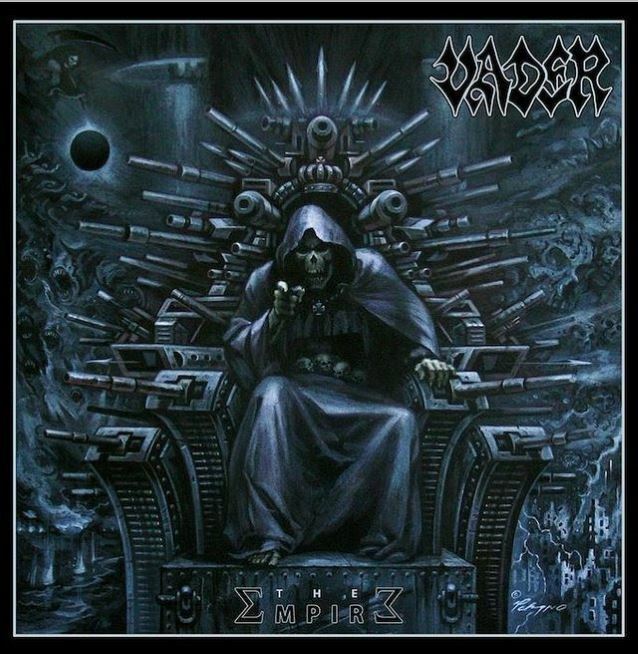 (04.04) Vader will be doing a reissue of their debut album "The Ultimate Incantation". The packaging contains all new artwork by Dan Seagrave (who did the art for the original release) and contains a second CD that has an original album session done by Thomas Skogsberg in Sunlight Studios. Release is June 3rd. (03.31) Chaos Inception is proud to announce the addition of Jason Flippo (Quinta Essentia, ex-Blood Stained Dusk, ex-Fleshtized) on vocals and Garth Lovvorn(ex-Fleshtized, ex Spinecast) on bass. They continue to work on a new album. (03.27) Hadal Maw welcomes Sam Dillon as their new vocalist. (03.23) Unmerciful has stated that despite the decade wait between albums 1 and 2, they're already working on number 3 and hope to have it out very soon. (03.14) The new Brain Drill will be called "Endless Iniquity". (03.14) Deivos have addded guitarist Jakub "Diego" Tokaj to their ranks, and they are busy writing a new album they hope to release at the end of the year. (03.07) Anthrax's new album, "For All Kings", sold 34,000 copies in the United States in its first week of release to land at position No. 9 on The Billboard 200 chart. Anthrax was last in the top 10 back in 1993 with "Sound Of White Noise", which debuted and peaked at No. 7. The band's 2011 album "Worship Music" peaked at No. 12 with 28,000 sold in its first week. (03.04) Deeds Of Flesh are 2 tracks away from finishing their new album. They hope to release it before the end of the year. (02.26) Aeon have started working on a new album. (02.25) Dream Theater will be playing their new album "The Astonishing" in its entirety at the Fox Theater in Oakland California on May 8th 2016. 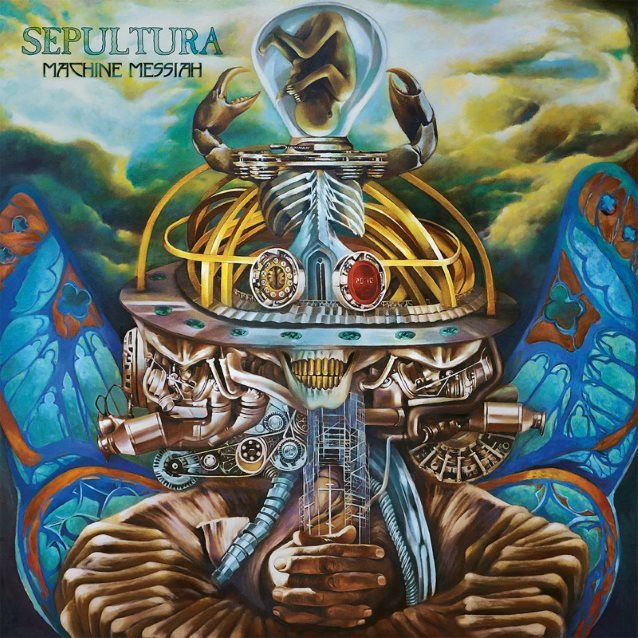 (02.25) Sepultura have started writing for a new album due later this year. (02.25) Fear Factory will be performing their "Demanufacture" album in its entirety at Slim's in San Francisco on May 3rd 2016. (02.24) Cattle Decapitation have resigned with Metal Blade Records. (02.22) Unmerciful's new album has been sent off to their label, and they hope for a late May / early June release. (02.22) Soreption is working on their new album. (02.21) Gojira have finished mixing their new album for a spring release. (02.13) Aborted's new album will be called "Retrogore", and will be out in April. (02.13) Fear Factory will embark on a U.S. tour starting next month, where they will play their "Demanufacture" album in its entirety celebrating the album's 20th anniversary. (02.09) Internal Bleeding vocalist Keith Devito and bassist Jason Liff has left the band due to career and family obligations. They will be replaced with vocalist Joe Marchese and bassist Shaun Kennedy. (02.08) Testament have tentatively titled their new album "The Brotherhood Of The Snake". (02.01) Periphery are recording their 4th full length album, and hope for a summer release. (02.01) Guitars and bass have been fully recorded for the new Brain Drill album. (01.29) Insision's new album "Terminal Reckoning" should be out Feb 26th. (01.28) The new Deftones album will be called "Gore", which is probably the last title I would have expected from the band. Guess they're death metal now. (01.23) The new Deftones album will be out April 8th. (01.22) Despised Icon have decided to reform and do shows and a new album. 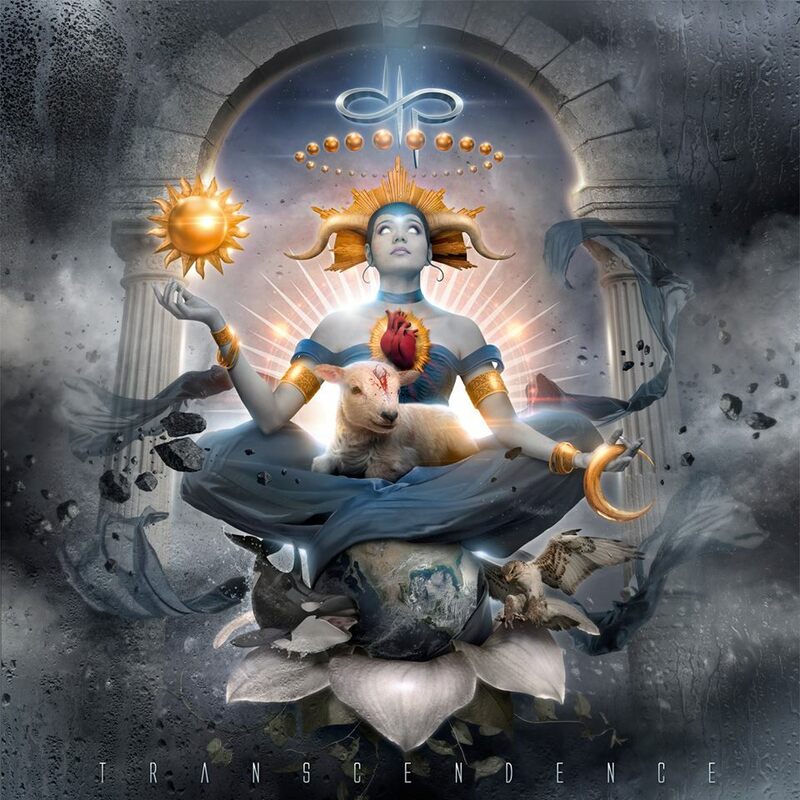 (01.22) Devin Townsend will enter the studio March 27th to work on his next DTP album "Transcendence" for a tentative Sept release. (01.18) Drummer Jason Payne has announced he will no longer be part of Vital Remains, and has decided to go back and fully concentrate on his project Hiss From The Moat. (01.13) Rivers Of Nihil welcome Dylan Potts as their new drummer. (01.13) Brain Drill has finished tracking all of the drums for their new album. (01.09) Thira has gone on hiatus while the band members embark on some new musical adventures. The band may reform one day. (01.08) The new Xenomorphic Contamination album is done. Release date to follow. (01.07) The new Unmerciful album has been fully mixed, and has been sent off for mastering. (01.05) The release date for Putrid Pile's 5th full length album "Paraphiliac Perversions" will be May 26th 2016.